Carrickfergus is the most archaeologically explored town in Northern Ireland. 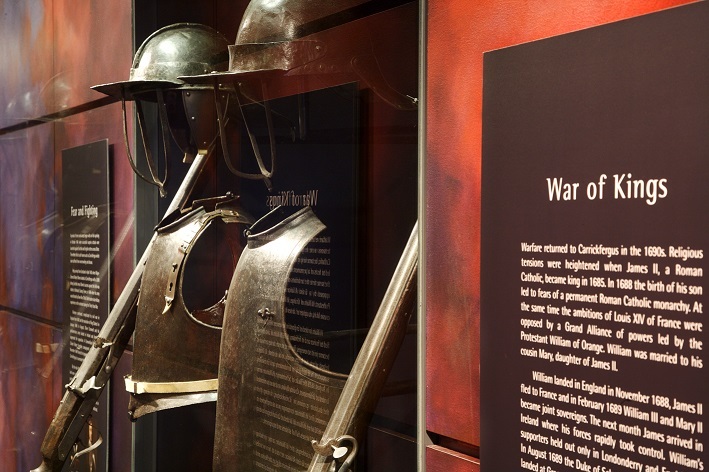 The finds on display at Carrickfergus Museum provide a remarkable glimpse into life in the town from the Medieval period to more recent times. The displays reflect the experiences of ordinary people and illustrate the dramatic and tumultuous events in the town's history. These collections are displayed and interpreted using a range of media, including audio-visual presentations and hands-on interactives. Also featured is the Community Archive gallery that provides opportunities for the local community to contribute their memories, photographs and objects to the ever-evolving story of Carrickfergus. The Gallery features special exhibitions produced by the museum, as well as touring exhibitions from other museums and institutions. The Education and Community Room is used for curriculum-linked education programmes and for outreach work with the local community. 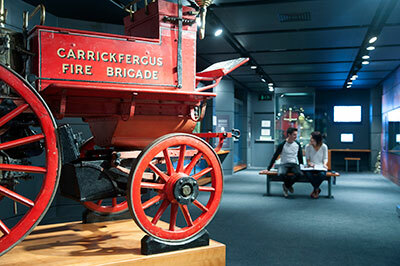 Carrickfergus museum is within easy walking distance of town centre car parks. Disabled parking is adjacent to the building. The museum is fully accessible, including toilet and baby changing facilities. Induction loop systems are installed in the main gallery for the audio-visual presentations. Exhibition details are also available in large print format in the gallery.